On February 1, 1983, Buffalo Rock Company purchased Pepsi-Cola Bottling Company of the South, which included Tuscumbia and Huntsville Divisions, from Harold Sherer, Donald Newman, and Vincent McCallister. 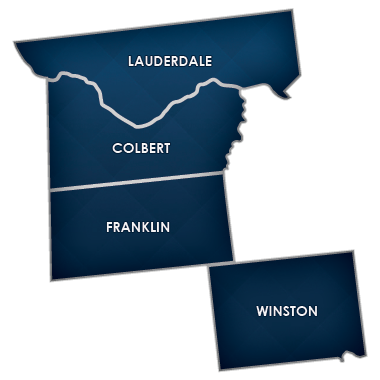 At this time, the Tuscumbia Division was distributing Pepsi-Cola products in the Alabama counties of Colbert, Lauderdale, Franklin, and Winston. With the addition of coffee and allied products to our product line in 1984, the Tuscumbia Division’s growth made it necessary to add a new office complex in 1986. In an effort to expand into the Full Line Vending business, the Tuscumbia Division purchased a local company (Coffee Break Service), which distributed office coffee as well as full line vending products, on October 1, 1988. With this acquisition we expanded our Full Line Vending business. As our business grew the Tuscumbia Division was the recipient of various awards including, but not limited to, Diet Mountain Dew Per Capita Award, Pepsi-Cola’s Donald M. Kendall Award, as well as the 1995 Golden Glove Award by the Shoals Area of Commerce for the most supportive business and industry and was entered into the Shoals Industry Hall of Fame. 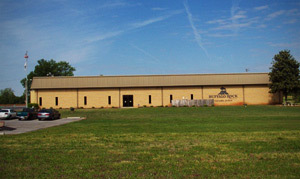 With the addition of new products and growth of our business in 1999, the Tuscumbia Division built a new warehouse on existing property and remodeled the existing facilities for optimum use. The history and growth of the Tuscumbia Division reinforces our commitment to meet our customer and community expectations as the premier total beverage, food and snack supplier, while developing mutually efficient and profitable business partners. The Tuscumbia team of over 87 dedicated employee-partners provides superior products and services to Buffalo Rock customers.